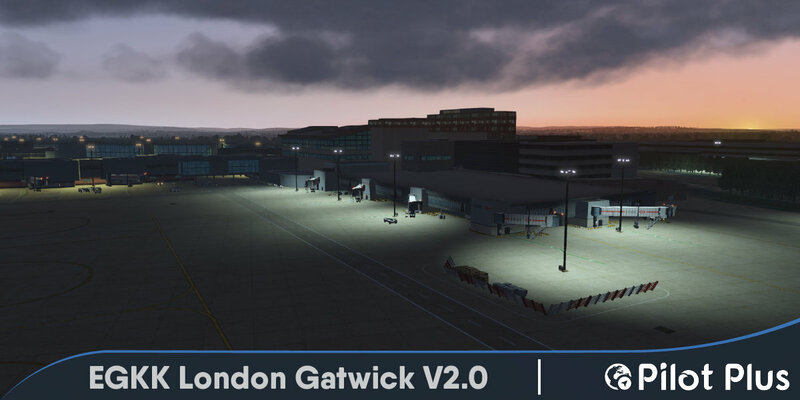 EGKK London Gatwick Airport is Europe's leading airport for point-to-point flights and has the world's busiest single-use runway, with a maximum of 55 aircraft movements per hour. In 2015 the rolling total of passengers surpassed all forecasts and exceeded 40 million. The airport is a base for scheduled airlines: British Airways (BA), EasyJet, Monarch Airlines, Norwegian and Virgin Atlantic and charter operators such as Thomas Cook Airlines and Thomson Airways. 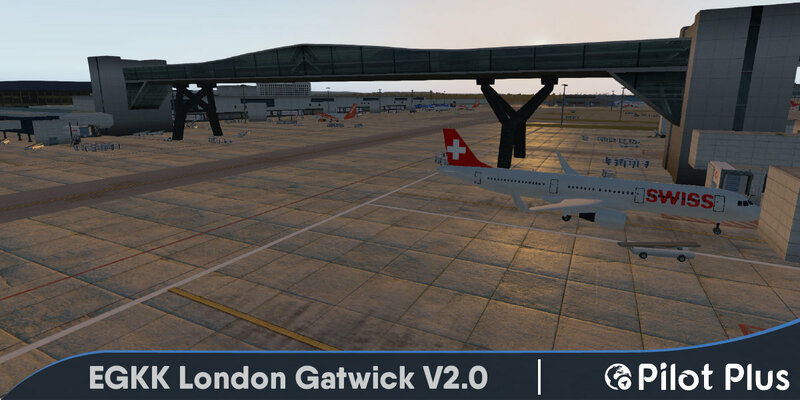 Pilot Plus have carefully studied every aspect of the airport to produce a faithful replica in the flight simulator! 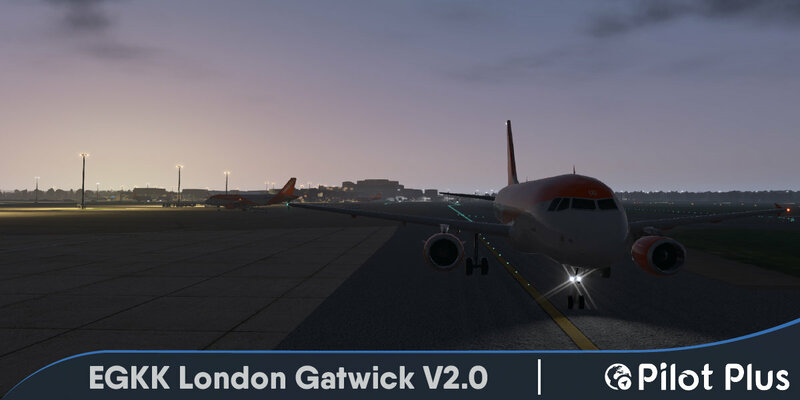 EGKK is an international airport, this makes it perfect for long haul heavy flights! 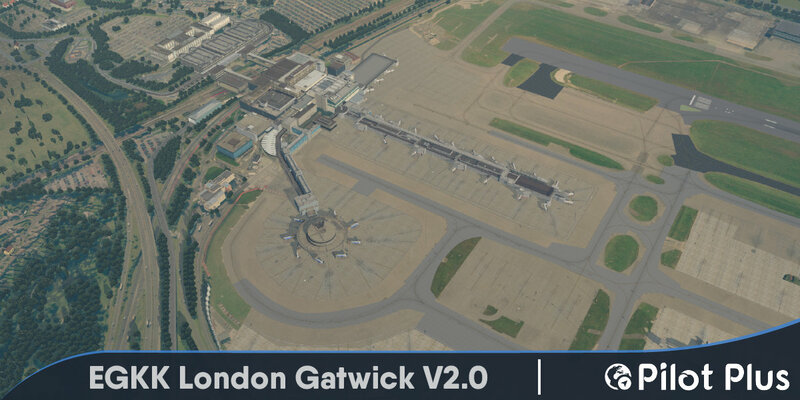 London Gatwick is the UK hotspot for international travel, this makes it a great place for European flights and even to the states. Every texture is photo real and is in a high definition! 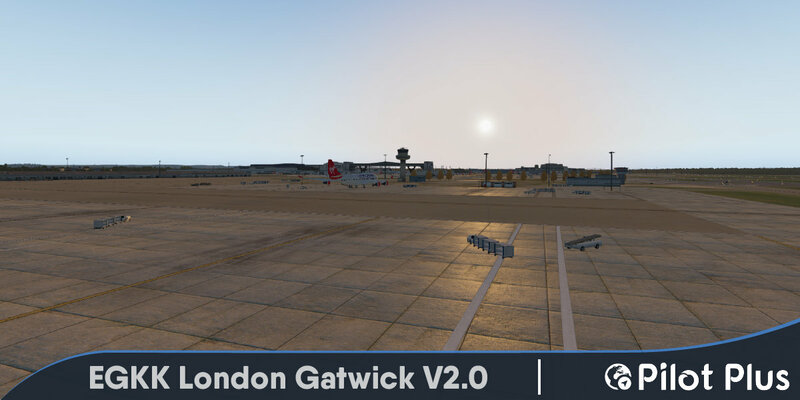 We have implemented many visual effects such as ambient occlusion, custom night lighting and custom shadowing, this makes the airport look very real! Every 3D model has been modeled to extreme accuracy, replicating the atmosphere of the real airport! Emulating a close to real life experience in X-Plane! Over 70,00 hand placed objects! Moved spawn points to align with the autogates across entire airport. Moved parking lines and dirt markings to the new alignment of parking spawns. Added additional gates and relabelled gates to the real world counter parts where needed. Added GA parking spots according to satellite imagery. WT3 can now spawn GA props and jets. Edited taxi routing to create a good flow around the airport. Edited taxi routing to accommodate the A380 that lands at Gatwick. Fixed a bug with the airport thinking the other runway was still active which was generating errors. Added the correct airlines to all gates according to 2017 available data.